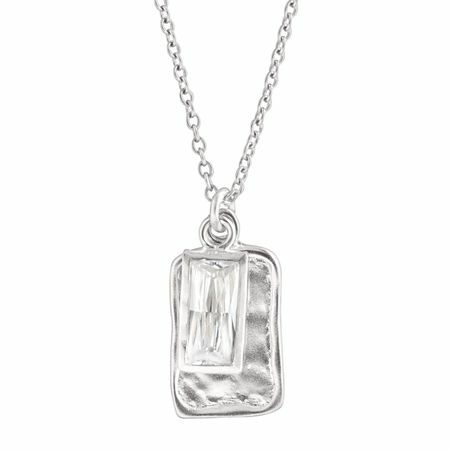 Get your creative juices flowing with the Creative Spark Necklace, which features a bezel-set cubic zirconia at the base of its sterling silver chain. Necklace measures 16 inches long, plus a 2-inch extender for adjustable length, and features a lobster clasp. Pendant measures 3/4 by 3/8 inches.